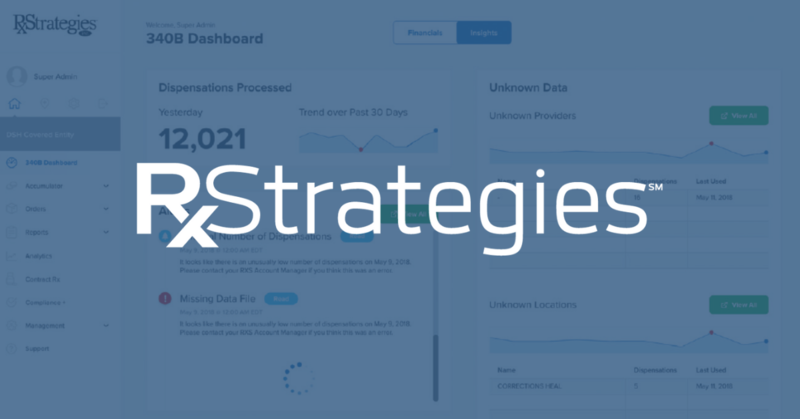 Achieve more with advanced analytics – RxStrategies, Inc.
Did you know? Mixed-use inventory virtualization and replenishment platforms through RxStrategies are secure, user-friendly, highly customizable and work with all wholesalers and EHRs. In fact, RxStrategies’ integration of the Medi-Span drug database minimizes the need for manual NDC and multiplier mapping, while system-logic seamlessly complies with state-level MCO reporting requirements. Real-time drug cost analytics and WAC exposure reviews ensure Covered Entities always purchase the least expensive medications possible while simultaneously retaining maximum 340B accumulations. Covered Entities can achieve more with intuitive 340B solutions from RxStrategies. Schedule a 340B Dashboard Analytics demo. Learn more about RxStrategies through our website and social media.